New Marco Oppedisano is here! Spectropol Records is pleased to announce a new EP of music by NYC guitarist and composer Marco Oppedisano. This project, titled resolute, is Oppedisano’s first solo release of electroacoustic music since 2010. The EP is composed of five compelling tracks based on electric guitar, electric bass, percussion, voice and piano. As in much of his previous work, the resulting music is a kind of electric-chamber/concrete hybrid rich with timbral, contrapuntal, gestural and harmonic detail. There’s an unwavering energy through these tracks that speaks to the title, a sense of direction and tonal focus even through contrasting sections, making the EP into what feels like a unified statement. resolute is available as a $7 limited edition CDR and $5 digital download at the Spectropol bandcamp site, where it can be freely streamed. A beautiful collection of tracks from instrument maker and microtonalist composer Paul Rubenstein. 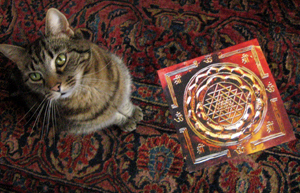 Stream the album or purchase the download or CDR from the bandcamp release page. Check out the films here. “I was very excited to work with Raeshma on this project. We had worked together some years before on her documentary film, “Home”. 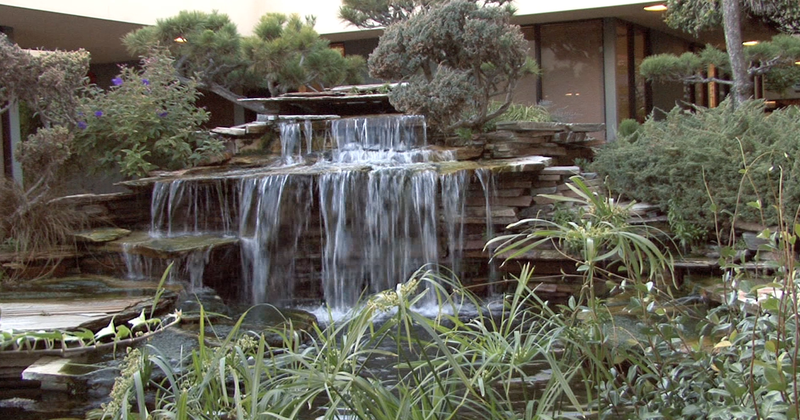 “Travels with H” is about the continuing influence of the medieval Persian Sufi poet, Hafiz. It is less a portrait of Hafiz and his work directly than it is about contemporary people and how his work resonates through their lives today. I attempt to mirror this in the music by drawing on Persian scales and technique and filtering it through a modern lens through the choice of instruments, use of electronic effects and drawing on other musical styles. This project gave me the opportunity to re-visit musical ideas from my time in Bakshish, my collaboration with Viren Kamdar in the 1990s in Seattle. “The Garden Still Sleeps” is a look back at one of our pieces from that time, “Sleeping Garden”. “Alice’s Journey” is a tribute to Alice Coltrane, especially the work she did in the 1970s with Pharoah Sanders, particularly “Journey in Satchidananda”, one of my favorite albums of all time. Check out his earlier Spectropol release (Solo Trios) here. Spectropol is pleased to announce the re-release of this excellent collaborative album. Stream, download, or purchase it at the link below. Tracks 1, 3, 4, 6, 7: PAD Publishing, ASCAP. Tracks 2, 5: CBD Music, Inc., ASCAP. All tracks recorded, mixed, produced and mastered by Patrick Derivaz at PAD Productions. Art and Graphics by Nana Deleplanque. We are excited to present ‘Bass Violin’ for wider release on October 22. 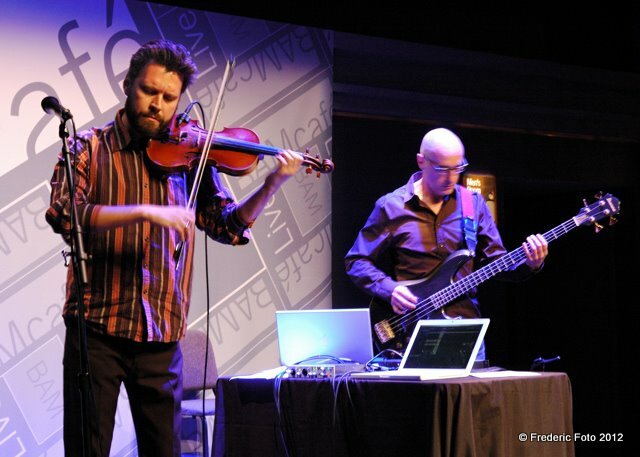 Originally produced in 2012, this project documents an intriguing electroacoustic collaboration between violinist/composer Dufallo (FLUX, ETHEL, Ne(x)tworks, VisionIntoArt) and bassist/composer/producer Derivaz (John Cale, Tom Verlaine, Joe Zawinul). 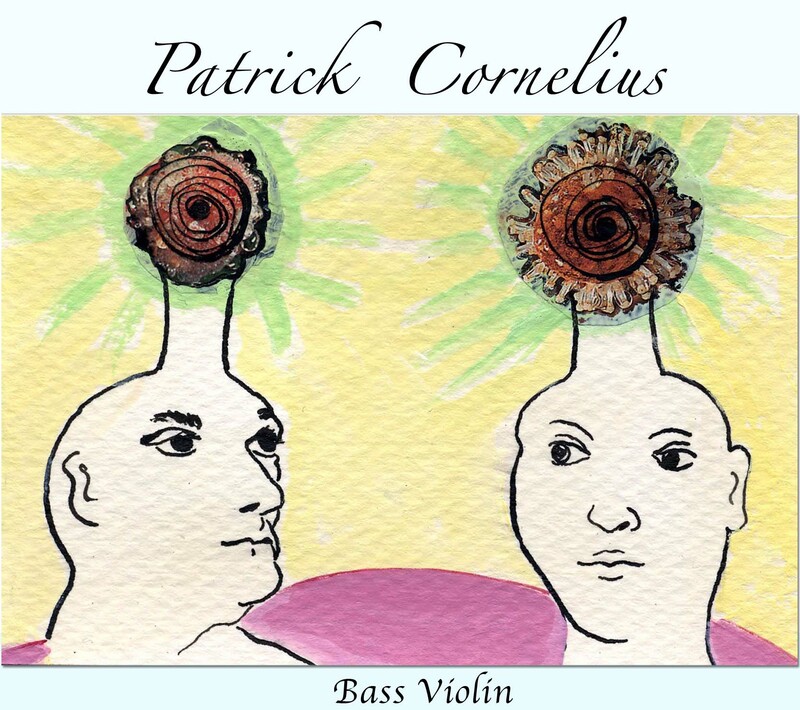 ‘Bass Violin’ comprises seven hypnotic tracks, each a carefully crafted combination of improvisation, composition and post-production. The album will be available for streaming and purchase (digital and CD) on the Spectropol Bandcamp site. There will also be a live CD release show at Spectrum in NYC on that day. $15 admission includes a copy of the CD to take home. Smart write-up of GOLDENBATS II over in Igloo. Off The Backs Of Golden Bats! 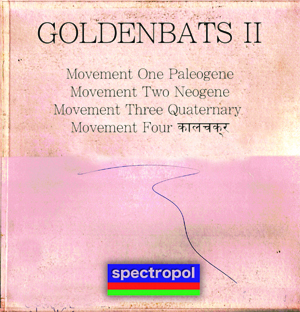 GOLDENBATS II is a twenty-six minute musical journey. Vast, lovely and large, it transitions from a bleak, dark and brooding stormy night into a new dawn of contentedly chorusing whippoorwills. Living in a megalopolis can be daunting to say the least. GOLDENBATS II is about time, healing, channeling creative energies and giving birth. The work was composed as a means for personal self-healing and empowerment both by the act of its creation and by the subtle memeplex it introduces upon repeated listening. The package design, etc. are all extensions of these ideas. The work was never intended to be released to the public though now through some fortunate external interest you’re reading these words and hearing these sounds. Geoff Duncanson and Dennis Meade have been performing and recording music together for the better part of a decade. They’ve been friends ever since their public school days in Yonkers, NY. Dennis has recorded music for the Imminent Frequencies label along side Asa Osbourne, Spencer Yeh, Jon Wesseltoft, and Jacob Long. Geoff was a member of the long standing New York experimental sextet Blue Velvet. That ensemble has performed along side Octis (Mick Barr), Mary Timony, Growing, Aloha, Medications, Child Abuse, Beauty Pill, Behold… The Arctopus, and many others. Geoff has performed most recently banging “resonant rocks” together in an impromptu performance on the streets of Kingston, NY with Pauline Oliveros during the 2011 O Positive festival. Both Geoff and Dennis have played in Sun Son Sun with James Zandoli and Victor “Poison Tete” (Rat At Rat R).